Winline 6oz. 100% Bamboo. Gorgeously green premium viscose bamboo batting.The 6 oz. gives the quilt loft,weight and really shows the quilting. 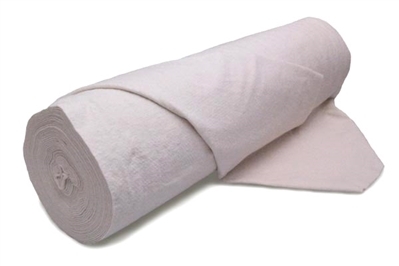 100% Bamboo 6oz - Crib 45"x60"
A natural fiber made from renewable resources, durable, antibacterial, breathable, and needle punched with no scrim. The 6 oz. gives the quilt loft,weight and shows the quilting. Antibacterial green manufacturing process. Machine or hand quilt approximately 4" apart. 3-5% shrinkage. No need for pre-washing. 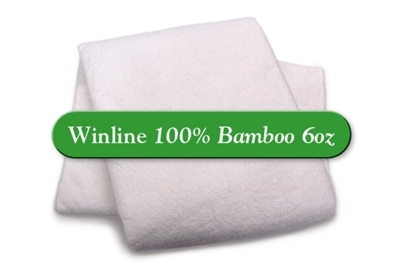 100% Bamboo 6oz - Twin 72"X96"
100% Bamboo 6oz - Full 81"X96"